Astrology & your birthtime: Why is it so Important? 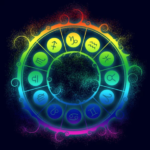 Astrologers need three things in order to cast an accurate chart (which will then reflect an accurate picture of you, your potential, your skills, talents and drives): 1) your day, month and year of birth 2) your city and state of birth (or country) and your time of birth, hour and minute, am or pm. All three are equally important. The time of birth helps determine which areas of life (or “houses”) will be brought to life by the planets. The planets are actors playing specific roles in the houses, or stages. 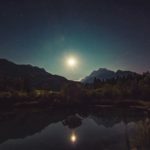 When any of the 12 houses are being stimulated by planets (career, relationships, home, travel and so forth), whether at birth, or as planets move through them, there are specific planetary drives to be expressed. I wasn’t sure of my correct birth time until a couple of years ago. My mother, who has been gone ten years, claimed that it was 12:30 PM but it wasn’t on my birth certificate. My dad thought that it was around 8-9 am because, as he recalled, my birth had interrupted church services. Steven Forrest, my mentor and friend http://www.stevenforrest.com/stevens-bio rectified my chart according to my dad’s recollection. He did a terrific job, but it felt all wrong. It didn’t feel like me. I decided to do some detective work. Thanks to the Department of Vital Statistics http://vitalrec.com I knew that I had to go to the Arlington, Virginia County Clerk’s office (if you’re looking for your time of birth, this website will tell you what government office has your records). I’d been told by another astrologer that, if I really wanted to find the “other” birth certificate that had my time on it, I had to speak to a human being. For a moment, I felt as if I were in an Indiana Jones movie. Was my birth time a priceless artifact? Why would anyone but me care? So I concocted a desperate little white lie that worked: “I’m an astrologer working on an article and I need this information to make my deadline.” Becca became my co-conspirator. She promised to come in early the next morning, before anyone else was there, and go down into the vault. There was a message on voicemail the next morning. Becca had done her job. She’d braved the vault and found my correct birth time. In my case, it was what my late mother had always said–12:30 PM. But that’s not always so. Dazed clients have wandered into my office in a state of identity crisis because they’ve just discovered that they’re not Cancer rising (presenting the social persona of the Great Mother, warm and nurturing) but rather Aquarius rising (the Rebel, detached and objective). They’re no longer who they thought they were because they had the wrong birth time. But after they do get the correct time, and we do a reading for the “new” person, it’s a huge relief. They feel validated, seen and connected to themselves. So doublecheck everything. Ask really good questions. Be persistent. Check baby books, baby bracelets, aunts, friends, whoever may have been present at your birth (your mother doesn’t always have the sharpest memory for good reason). If all else fails, there is a process called rectification, where an astrologer helps you accurately pinpoint your birthtime by gathering information about major life events and when they happened. I recommend Jodie Forrest http://www.stevenforrest.com/Readings for this service. It is the last item on this page of the Forrests’ website.